A US school has cut a six-figure sum from its winter energy bill by replacing its oil-burning boiler with woodchip biomass ones. The switch has reduced the school’s carbon footprint by between 35 and 45 percent. 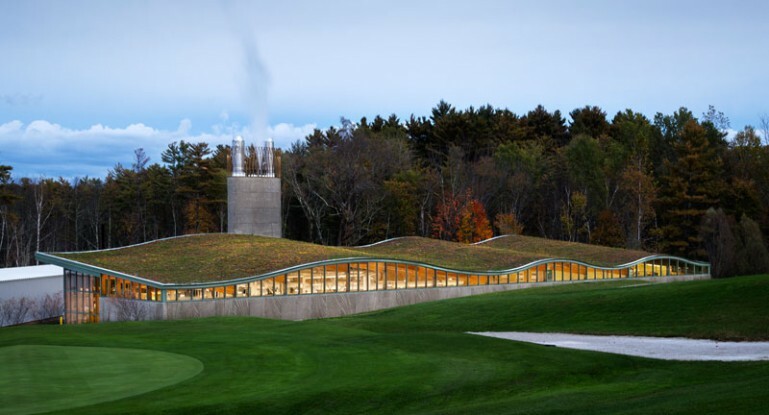 The boilers are housed in a brand new green-roofed building which has become only the third LEED-certified power facility in the US. Unlike the oil-fired boiler they have replaced, the biomass burners combust locally-sourced woodchip, which, though not a wholly clean source of energy, is cleaner than using oil. An electrostatic precipitator removes 95 percent of particulates from emissions before entering the atmosphere. Because the woodchip comes from FSC-certified forests, it’s effectively a renewable source of energy as the forests are managed to maintain their stock. The International Panel on Climate Change goes so far as to argue that appropriately sourced woodchip is a carbon neutral fuel for this very reason. The carbon lost to the atmosphere when the woodchip is burned is gradually put back as replacement trees grow. There are green roofs and there are green roofs. The former, best written in the sort of quotation marks that express dubiousness, are often little more than a thin shrubbery planted apologetically in the corner of a roof terrace. 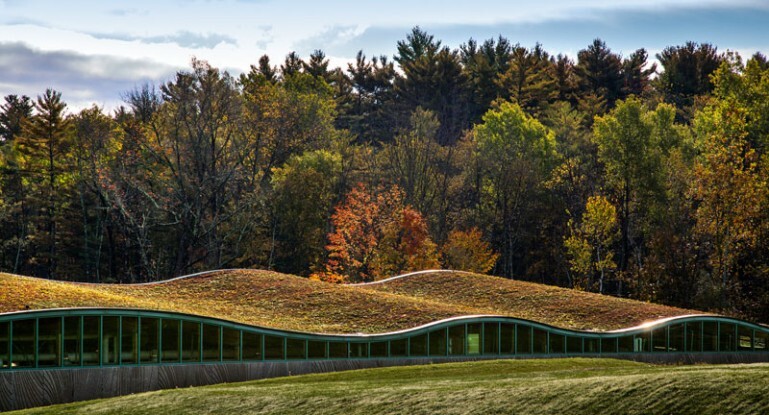 The latter are almost lush undulating meadows in comparison, and create the impression that the building has been slipped into the landscape like a letter into an envelope – when viewed from a favorable angle at least. It’s firmly in this category that the new biomass building at the Hotchkiss School in Connecticut belongs. As one should expect from a green roof, this one serves more than aesthetic purposes. Bioswales, specially designed sloping channels, combine with rain gardens to slow and filter rainwater before it enters the ground. The Hotchkiss School reports that between mid-October and the end of December, nearly half of the system’s winter operating period, the school slashed more than US$350,000 from its energy bill.